I've read that you can buy special sheets to put in dehydrators for use with sticky or small bits. 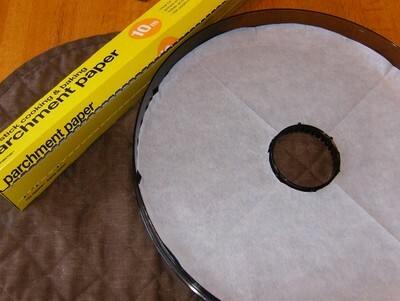 My dehydrator didn't come with any, but I hit upon the idea to cut parchment paper into the shape I needed and it works just as well! So far I've used it for small bits of strawberries, but I plan to try a few fruit leather recipes soon!